We offer the Responsive Web Design as the most innovative approach in web development. It is the approach when design of a web site reacts to the size of a user's screen. 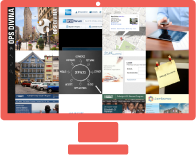 Example of responsive website design: timemaster.ch. On desktops content organized in 4 columns, on laptops in 3 columns, on tablets in 2 columns, on mobiles in 1 column. You can view these changes if trying to change the size of your browser. - Better search engines optimization (SEO). You have one web site version, thus, you can analyze all information that goes from one source and you save money and time on separate mobile development. If you already have a web site and don't want to change it's design we can offer to develop a mobile version of your site. 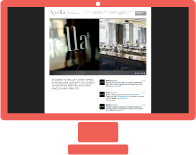 Example: apella.com. The website's engine detects mobile devices and shows mobile version of design. 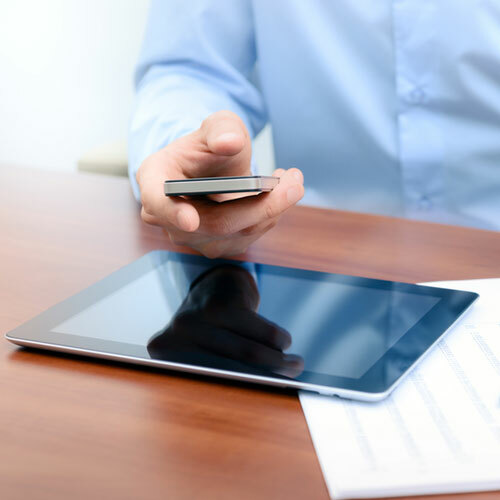 We will create a mobile user interface in accordance with your existing web site design that will be compatible with most mobile devices and tablets. Mobile version can be based on your current web site or has it's own code engine and content management system. The other solution in mobile world is mobile applications. We develop mobile applications for the two most popular mobile platforms: iOS powered by Apple and Android powered by Google. Users can download your application on Apple App Store or Google Play online stores. - Unlimited design capabilities: using animation, video, audio elements.